As I noted in My Plan for Total Financial Freedom, I’d like to have dividend investing as part of my retirement plan. But I don’t know much about it. Today I’ll share what I’ve learned so far on my journey into dividend investing. Earn income generated from the dividend payments. Get some growth on the value of the stocks paying the dividends. You buy a portfolio of stocks for $500k. These stocks pay you a 4% dividend of $20,000. The stocks appreciate 4% over the course of the year and are worth $520,000 at the end of year one. In this example, your stocks have had a total return of 8% (which is completely reasonable) through the combination of dividends and growth. Most dividend investors would look for their investments to beat the major market indices. I don’t need to go that far. All I need is some income and enough growth to make up for rising inflation (I’m figuring on 3% income and 3% growth). If I get extra return, that’s great, but I don’t need it. But that’s my take on why dividend investing works (and how it works). What do the “experts” say? 1. 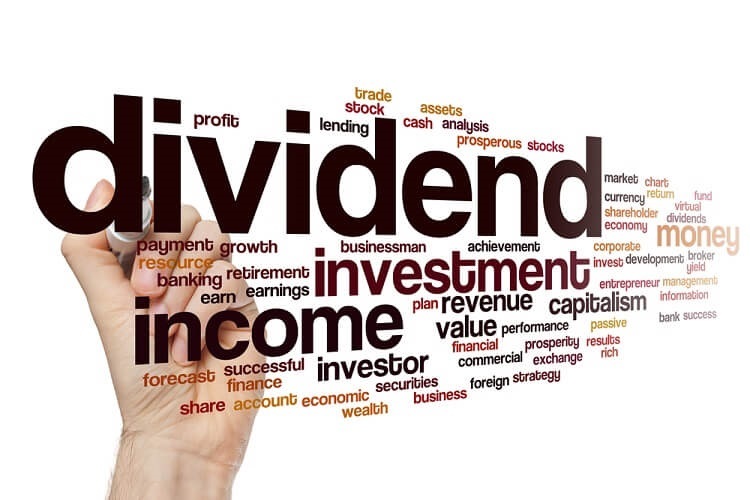 Dividends provide a steady stream of income. 2. Dividend stock prices increase over time. 3. Dividend reinvestment allows investment to grow at a compounded rate. 4. Dividend reinvestment promotes dollar cost averaging. 5. Dividend-paying stocks generally have lower price volatility. I especially like the first two since they will be the main reasons I pursue this strategy (if I ultimately decide it does work for me). There are a seemingly myriad number of ways that dividend stocks can be picked (and even if you use stocks at all — some people suggest mutual funds). But no matter what you use, the advocates for dividend investing seem pretty confident of its success. And so here’s one key takeaway: Dividend-paying companies are surer bets as investments since, on average, they operate in mature industries and enjoy steady flows of earnings. There is a reason why we have launched our book’s examination of investment strategies by focusing first on dividends — this is the safest way to invest in equities. A truckload of academic studies has shown that investing in companies that pay dividends is just about the best way to earn huge returns over time. Again, they are looking at dividend investing compared to all the other investing strategies and saying it’s one of the best. I don’t need it to be one of the best — I have a much lower hurdle to jump. This gives me a margin of safety which I like. It is a common misconception that most of the returns to investors who invest in stocks have come from capital growth. However, since 1926 nearly half of the 10.3% annual stock market return has come from dividends and dividend reinvestment. As an example, over the past 70 years, ending December 31, 2002, dividends contributed almost 40% of the average annual return of stocks on the S&P 500 Composite Index. There are a number of formal studies that have found dividend stocks provide higher returns. For example, one study of monthly returns by S&P 500 companies over 31 years found that dividend-paying companies significantly outperformed non-dividend-paying firms by 0.37% per month. Of course these books have a certain point of view they are trying to sell, so such statements aren’t surprising. That said, the fact that there are studies showing that dividend stocks do well is at least a partial boost for the strategy. That’s about as far as I’ve gotten into my investigation of the topic. Obviously I still have a long way to go and there’s still a HUGE question out there (how do I find the right stocks that deliver the results I want?) If you have any thoughts on what I should consider as I proceed, I’d love to hear them. Or if you’re a dividend investor yourself, perhaps there are some words of wisdom you can share. I use MotifInvesting.com (recommended by Financial Samurai)to build my own diversified divided portfolio. The commission is under 10$ and allows you to buy 20+ stocks, etfs, etc at once. It also prevents me from losing money trading individual stocks which I had been doing in the past. I am sure Volkswagen and BP were very good dividend paying stocks but when the they had the problems of diesel cars and deep water horizon oil spill in the gulf, I am sure share values took a major hit and possibly cut there dividend or even eliminated it. But there are stock that do pay a consistent dividend, they may not grow as quickly. You just need to find them. I would argue that #3 is actually a negative that they are trying to spin as a positive. Why? Because the whole point of dividends is to get income without having to liquidate assets. If you intend to put your money back into the company in the form of buying more stock you would have been better served if the company simply did not pay you a dividend but kept the money in the company. Every dividend payment results in a comparable reduction in company equity and the stock price will be discounted by that reduction in equity. So if they kept the dividend in the company your stock would simply be worth that much more. If they pay out the dividend and you use a DRIP to reinvest the dividends back in the company you will end up with the same equity as if they did not give you the dividend, except that you will now have a tax bill on the dividend that was paid to you so you have a negative cash flow event to simply retain the same value of ownership you would have had if they had not paid out the dividend. Long term it does beg the question of whether or not the company has productive things to do with the cash it retains but generally speaking if they do your equity position will be better if they keep it rather than give it to you and have you buy back in after a tax bill. #4 is true but given the size of most dividends DCA is a pretty marginal benefit. The other thing I would be leary of when doing dividend research is any study going back into the pre-modern era which I would classify as anything prior to about 1980. The economy, the stock market, the regulations, the proliferation of stock investing throughout society, etc all made that a different era. When they list things like half the return in stocks has been through dividends going back to 1926 up through 2002 that is because of a couple things. 1. Timing. 1926 was just 3 years before the biggest crash in history. 2002 was at the very low of about the 4th or 5th largest crash in history. I can’t tell from the quote if they used both of these dates together or used one in one range and the other in a second range but the dates are fortuitous and help make the dividend argument look better than it might be other wise. A more balanced approach might have been to provide the sample returns for 10, 20, and 30 year periods throughout different eras with a special focus on the modern era since that is the only one we get to invest in. The reason to buy dividend paying stocks is income with some price stability hopefully. That is why you are after it and the only reason that really seems to make sense. The others reasons are either misleading or not compelling it seems to me. People like Apex are the reason I really enjoy this blog. Such a wide variety of knowledge to share. Thank you for this feedback and so much to think about! Apex misses the point with by saying taxes turn #3 into a negative. His point is made moot if the dividend stocks are in a tax sheltered account like a Roth (especially so there) or a traditional IRA or rollover IRA. Regardless, the main point of #3 is the power of compounding: growing the dividends by buying more dividend paying stocks. The old adage of compound interest being the greatest invention by mankind is played out by reinvesting dividends in dividend paying stock. PS: No rule says you have to buy the same stock with the dividends paid. You can build additional diversification into your portfolio by acquiring different dividend paying stocks. Good for you ESI. While a fund could do the trick, picking individual companies is not bad either. You’ll want to aim for a total portfolio of around 30 stocks or so to provide diversification from a single company event. But take your time to build this up. Some of the best times to buy individual companies are when a good quality business goes on sale (like Target did in 2014 with the data breach) or Union Pacific right now for example. Also sectors that are heavily out of favor with normally good earnings power (energy, oil and gas, good retailers) are good candidates to look for the best companies in the sector as candidates to pick up to round out the portfolio. It’s somewhat active but fun if you have the temperament for it and you can create your own dividend paying “fund” that way. One thing is certain though- there will be points in time where you will “lose money” on paper and you can’t let that sway you from carrying out the strategy. Mike H, Do you have a supporting answer for Apex. I am of the same mindset as Apex. Dividend investing is good for income stream, but not necessarily a better option for young portfolio (meaning at least 10-15 year need for that income). I ask this not doubting your Dividend theory, but with an interest to learn, if I missed any. I know you didn’t author this article, but I ask you in specific as you authored another Dividend article in this blog. 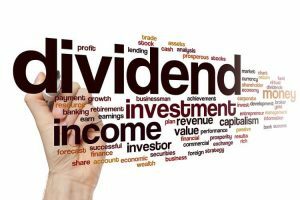 Though some might disagree, I believe dividend investing is better suited to the end of an investor’s career, when income is needed more than growth. That’s why I’m considering it now as I’m entering that phase. ESI – any update on this? I love dividend stocks and plan to move heavily into dividend stocks when I get closer to retiring. I know you have mentioned dividend stocks in other posts. Currently I have some dividend stocks in my portfolio and simply reinvest the dividends. Have you made any changes based on results? Increased or decreased your dividend stocks? Have you found any great dividend focused ETF funds? No, to all of those — no changes, no stocks, no funds.